This series has had so many entries in it that it’s hard to keep track of them all. That majority of the entries have not been that good to begin with. This hopes to change that. 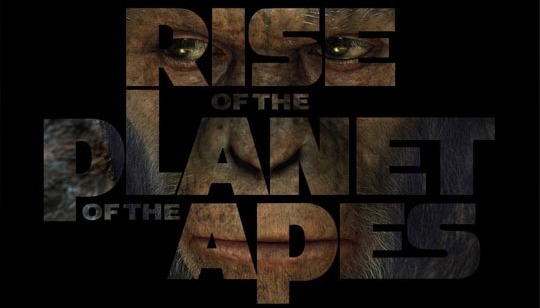 Rise of the Planet of the Apes attempts to do a prequel to the original Planet of the Apes, using much of the same mythology while attempting to reboot the story previously set up by Conquest of the Planet of the Apes. So is this just another entry to a series that has been losing steam for a while in which the only option seems to be a reboot? Short answer… yes. This movie is awesome. The film centers around a scientist played by James Franco (Spiderman, General Hospital) who is attempting to find a cure to Alzheimer, the same disease that plagues his father. After testing on apes he find that it not only cures faults in the brain but makes them smarter. Then a series of unfortunate events leads to the end of this prequel and the start of the series we all know. Not only is the revolt o the apes itself interesting to watch, but the first two acts of lead up that show everything that lead up to it was fascinating to watch. And if you aren’t interested in any of that, I can assure you that the scene in the trailer of the Gorilla attacking the helicopter is in the movie, and it’s awesome. Get the soundtrack and book to Planet of the Apes. Rise of the Planet of the Apes completely gets rid of the humans in ape suits look. Instead they CGI, as well as the technology and actor (Andy Serkis [Lord of the Rings , King Kong ]), use to make Gollum from Lord of the Rings to make realistic looking apes. This technology allowed the film to use no real animals during filming, which to me worked. These apes look real, the way they move and act is great. And watching them plot against the humans was eerie to watch. If you had a interest in this, go see it. If you loved the original, go see it. If you like good movies, go see it. Let me know your thoughts in the comments.